United Nations Secretary General Ban Ki-moon will visit a resettlement site in Jaffna in Northern Province of Sri Lanka and meet President Maithripala Sirisena and Prime Minister Ranil Wickremesinghe during his trip to the island nation later this month. Ban will leave for Singapore later this week, on the first leg of the trip that includes visits to to Myanmar and Sri Lanka for official visits, to China for the G20 Summit and the Lao People's Democratic Republic for the annual ASEAN-UN Summit. On August 31st, he will travel to Colombo to meet Sirisena and Wickremesinghe as well as other members of the Lankan government and Parliament. Ban will also deliver a keynote speech at a public event on the Sustainable Development Goals, in particular Goal 16, dedicated to the promotion of peaceful and inclusive societies for sustainable development. "While in Sri Lanka, the Secretary General will also visit a resettlement site in Jaffna in north of the country and participate in an event on the role of youth in reconciliation and coexistence in Galle, in the south of the island," Ban's spokesperson Stephane Dujarric told reporters here yesterday. 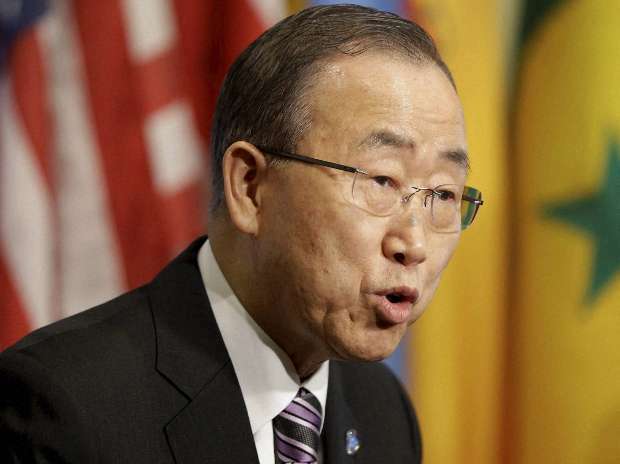 In Singapore, the UN chief is scheduled to meet Prime Minister Lee Hsien Loong, as well as other government officials. He will be conferred an Honorary Doctorate by Singapore President Tony Tan Keng Yam at the National University of Singapore. In Myanmar, Ban will meet President U Htin Kyaw and Commander-in-Chief of the Myanmar Armed Forces Senior General Min Aung Hlaing as well as other political and civil society leaders. He will also meet State Counsellor and Foreign Minister Daw Aung San Suu Kyi. On September 3, he will be in Hangzhou in China for the G20 Summit, which will also be attended by Prime Minister of India Narendra Modi and US President Barack Obama. For the concluding visit if his trip, Ban will travel Vientiane in Laos, for the eighth ASEAN-UN Summit meeting on September 7 and the 11th East Asia Summit on Spetember 7. This will be Moon's second visit to Sri Lanka. He toured the island in May 2009 immediately after the Sri Lankan troops defeated the LTTE ending the three decades old civil war. Since that visit, Lanka came under close UN scrutiny for its war crimes accountability during the war with the LTTE. The UN Human Rights Council have passed three resolutions since 2012 to urge accountability for war crimes blamed on both the government troops and the LTTE.